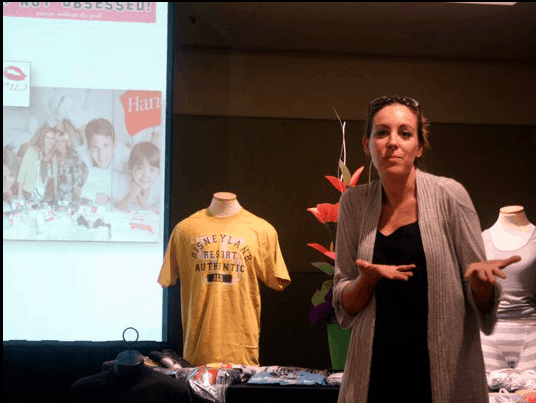 My friend Carol just posted this pic of me during my Hanes presentation last month in Disney. I laughed at my body language and just had to share. I don’t think a day goes by that my kids don’t ask me when we’re returning to Disney. I am SO HAPPY we went this year. It really was quite memorable. Speaking of presentations, tomorrow I head out to NJ to take part in the ‘Unilever Project’. I would bet my right arm that you have something in your house that is from this HUGE company. Dove, Vaseline, Axe, Ponds, Caress and MORE. They chose 6 bloggers for a day of casual conversation and industry discussion and I am one of them. I know a few other women who will be attending, so it should be fun. Audrey will be there as well… and it’s her BIRTHDAY!! Can’t wait!